The local bakeries bake this every day. It is so wonderful. 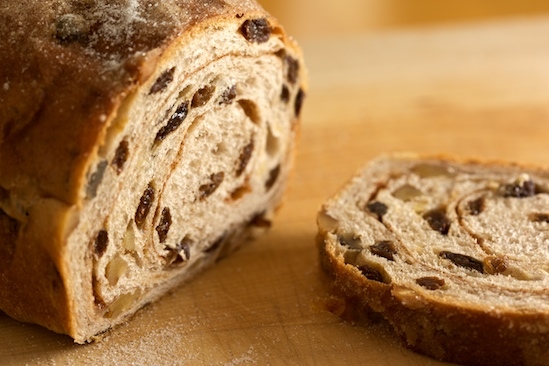 Cinnamon Raisin Bread can have every day of the year …. in my book. Yummy. I love your space! It’s very pretty :) When you have the time, please drop by my space. I just made a soup that looks like a cappuccino. Confused? Come see :) I’d love to hear what you think.